Growing up in Wheatland, I always knew I would work in the beauty industry. After graduating from Westosha Central High in Paddock Lake, I was fortunate to have the opportunity to apprentice at a dynamic salon in Twin Lakes where I stayed for eight years. From there I transitioned to a salon in Lake Geneva where I practiced creative techniques for styling up-dos, coloring, cuts and chemical treatments for eight more years. In partnership with my team, it is a dream to open the doors to a salon that will always strive to provide an experience that exceeds the expectations of our clients. Through the practice of superior styling techniques and presenting the latest trends, Salon de Belle promises to help find your beauty’s identity. I am a Burlington local. I graduated the class of 1989 at Burlington High School. Immediately following high school I went to Erik of Norway Beauty School in Milwaukee. I was taught pivot point cutting techniques and Aveda concept and theory. After graduating beauty school I worked in Milwaukee at a salon called the Lion’s Den, which specializes in hair pieces and men’s grooming. After several years I needed a salon closer to home. I found Rita’s Well Street salon in Lake Geneva, a full service salon. I went on to work sixteen years at Rita’s. I specialized in coloring, perm techniques, and cutting. I also served as the salon manager and bridal consultant. Within my years of experience continuing my education and perfecting my skills rank number one. I love my profession and have total respect for it. I am a professional stylist that listens well to my clients. I am as creative as you want me to be. I can create a look that’s right for you and your lifestyle. Meeting new people is always exciting. Come in and let me pamper you! 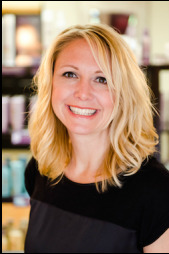 I am a Burlington native and went on to graduate from VICI Capelli Beauty School in 2001. 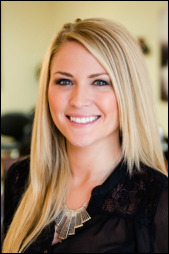 After graduating from Capelli, I trained and enhanced my styling skills at Steven Edwards Salon in New Berlin. It was there that I took a series of focused tests to receive my certified Master Hair Colorist Certificate presented by the American Board of Hair Colorists. After receiving my Manager’s License in 2006, I went on to strengthen my skills at the Abby Resort Spa & Salon. It was with great excitement in March 2007 that I came back to my hometown to join Salon de Belle. I look forward to continuing to serve the tight-knit community I know so well through exceptional coloring and styling services. I began my career in cosmetology at the VICI Beauty School of Greenfield, Wisconsin. It was there I learned many Aveda concepts and techniques. After graduation, I was fortunate to have the opportunity to apply my skills at an elegant resort salon and spa in Lake Geneva, WI. Having the opportunity to join the Salon de Belle team, I am excited to continue my career in my hometown of Burlington. I truly love the ever-changing beauty industry and enjoy keeping up on the latest cuts, styles, and color techniques. 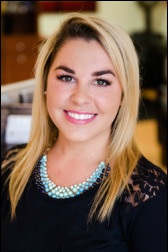 I am very excited to meet new faces and will strive to give all my clients the best possible service. Trisha began her beauty career as an apprentice with Marietta's in Kenosha where she developed cutting and Aveda color techniques for 8 years. 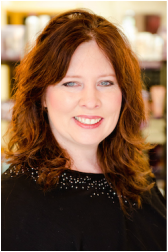 Now, here since 2010 at Salon de Belle, Trisha's passion for color and cutting shines through with each person that sits in her chair. What makes Trisha stand out is her ability to finish a look, perfectly complementing an individual's natural beauty. Adding to her professional repertoire, Trisha performs manicures, shellac, pedicures and waxing. I've had a passion for the beauty industry since I was 8 years old. After High School I started and finished beauty school at The Salon Professional Academy in Kenosha, WI. I'm so excited to be at Salon de Belle and start my journey as a hair stylist. I love helping people embrace and highlight their natural beauty. Please come see me for my new talent introductory prices.